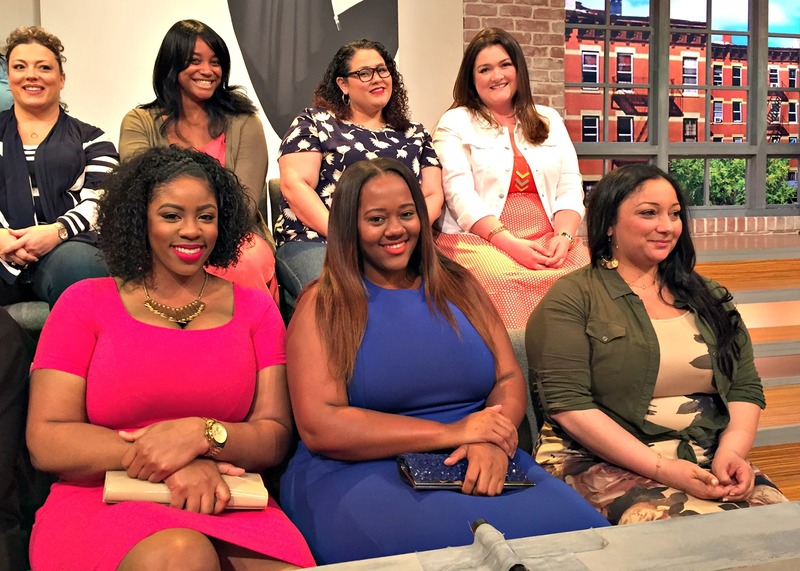 Are you a fan of the day time talk show FABLife Show? This week I attended a taping of the FABLife show, it was Curvy Girl Special. One of the host Lauren Makk, a curvy girl her self had a show dedicated to curves! 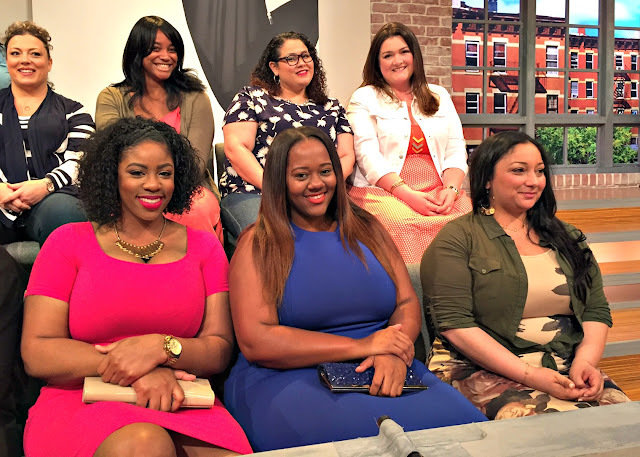 It was a show dedicated to all things curvy, from fashion, curvy celebs and style tips. My self and a few other Los Angeles bloggers were invited to be VIP guest of the show. I had never been to a show taping, although I've lived in LA my whole life! Getting to see the whole process of how a talk show gets made and being part of the audience was fascinating. It starts off arriving at Culver Studio in Culver City. Which I had no idea show taped in LA, all this time I thought they were in NYC! There was a line already when I arrived at the studio. Since I was on the VIP List, I didn't have to wait long just fill out a release form. After going through a metal detector and purse search, yeah they were a all up in my bag. We were all lead to the studio and waited a bit before being seated inside the studio. No food or drinks are allowed, but at least they give you soda and popcorn while you wait. The studio was very cute and nice, although the audience is small, only about 70 people. On TV it seems like there are way more people sitting there. It's actually intimate and cozy, only about 4 sections of seats for the audience. 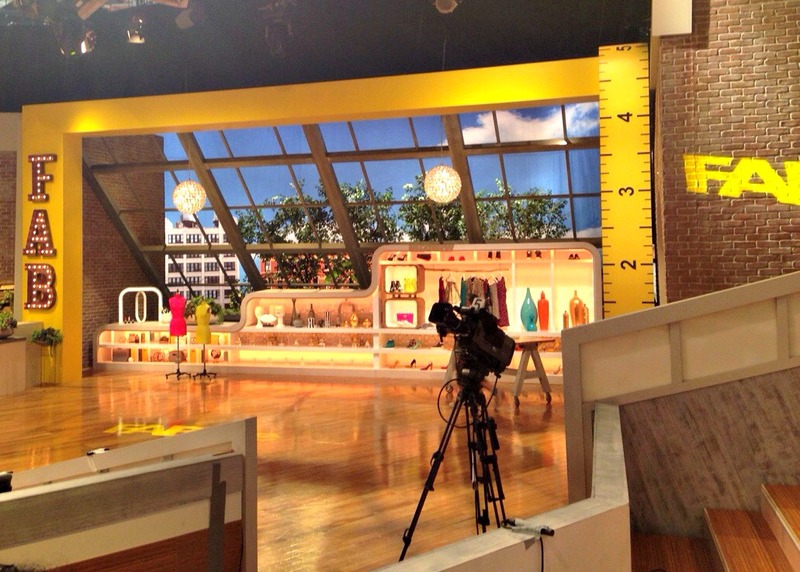 I loved the decor of the studio its very chic and bright, definitely FAB! Once seated, were told no cell phones while show was happening, but they did allow us to take a few pics and snaps before and after show. All the bloggers were seated together and told we had prime seating. Oh fancy! 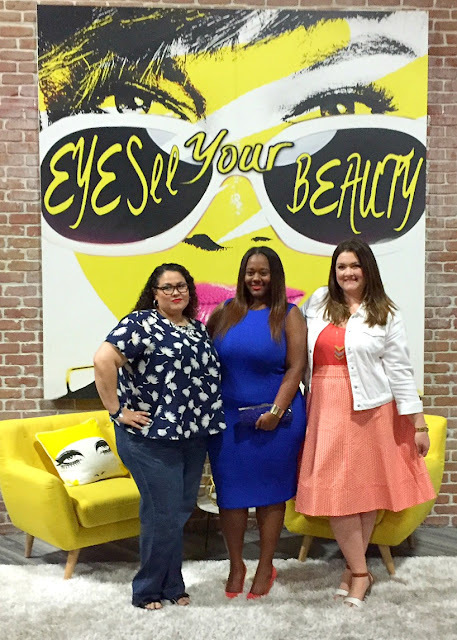 I got to sit next to Rachel from Lovely in LA and also near Kristen from TrendyCurvy. I've met both of these bloggers before and happy to see them again. I also got to see Melissa from Chic and Curvy Boutique, who use to also blog. 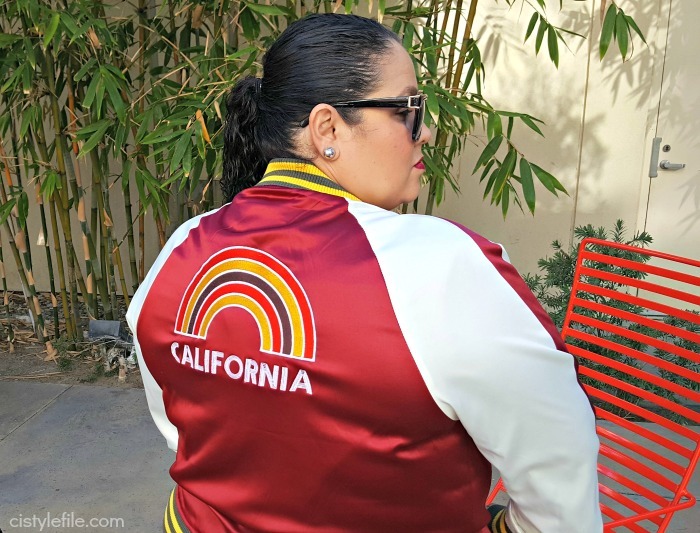 Melissa now owns a plus size boutique in LA and online, make sure you check it out! Before the show started an audience warm-up host came out to get the audience pumped up and excited. He was telling how to clap and react on his cues, the camera even took a few "faux" shots of the audience reacting, for use in editing later. He told us to clap really loud and act very excited, as you can see from the picture below, I am a good actress! We even had to fake laugh and pretend the host said something funny, yet no one was on stage. Seemed a bit odd, but I am sure it all comes together in editing. The show is done in "acts'" or segments, all out of order. Actually most to the show is not even really visible to the audience, because the camera and crew covered most of our view. Also since the segments are done out of order, it doesn't all make sense until you watch it on TV. 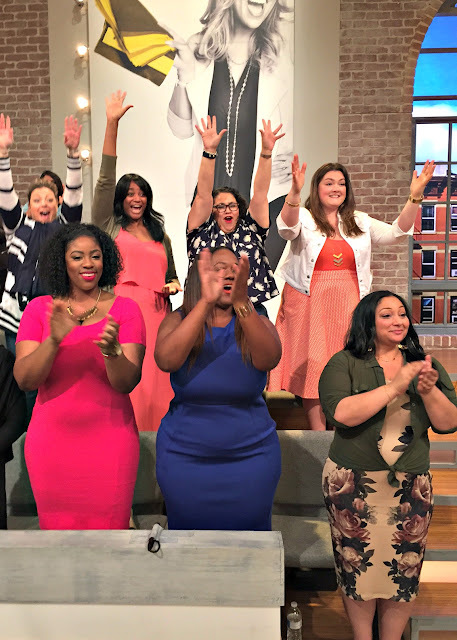 Between segments the audience can win gift cards or show t-shirts. They have you dance and even sing, and joke around while we waited for set changes or props being moved around. I didn't get a gift card or t-shirt, but the entire audience did get a FABLife Freebie. Its basically a gift they give out to everyone if at a certain point in the show a certain song comes on, basically we were told it only happens if the producers think we are being a good audience. Yes, we were a great audience and when the music came on, we all went crazy! 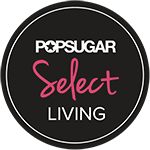 It was during the fashion segment, where Lauren Makk was telling us about her fave plus size retailers, so guess what the freebie is? Well I won't ruin the surprise, you will have to watch the show to find out. The actual show will air on April 7th, 2016 on ABC. 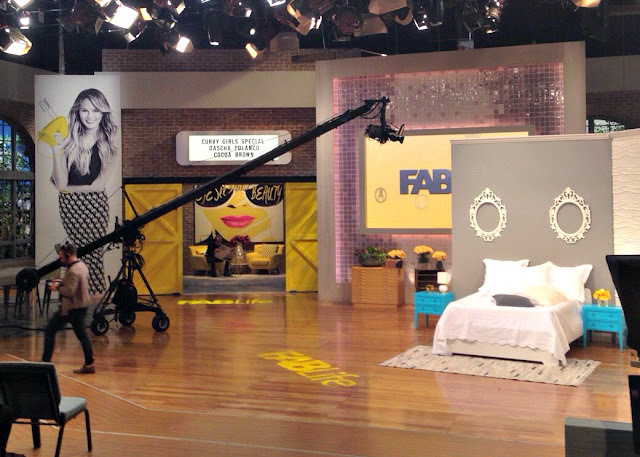 Make sure to watch the FABLife Show and find out what the freebie is and maybe you will spot me in the audience as well. After the show the audience coordinator let us stay behind and take a few pictures on the set. I had a great time and very fun experience my first time attending a taping. Apparently there are a few people who are regular audience members and attend weekly. I can see the appeal, especially if they get a prizes or freebies. Have you ever been to a show taping? 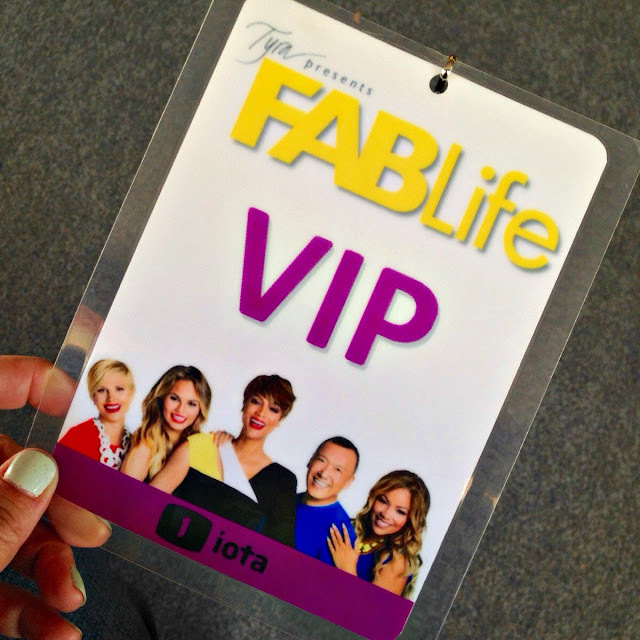 If you are interested in attending the FABLife Show, let me know, I was told we can return and get VIP Tix again. I am sure the audience coordinator can hook up some of my readers. Leave me a comment or email, and make sure to follow me on Instagram and Snapchat for more behind the scenes and shenanigans. This sounds like such a wonderful experience. So glad you had fun!! Thanks, it was very fun and interesting to see the production of it all! I am not a super fan of being an audience at tv shows because all the demands the producers have for the attendants. But freebies definitely make it much better. My family has sold 2 cars to Carmax, a Saturn Vue and a Nissan Quest. I thought they were both good offers. You should just look at Kelly Blue Book before you get there to have an idea of what its worth. Even if we could have gotten a little more selling it for ourselves I liked that we didn't have to hassle with placing an ad, meeting strangers at the house to look at the car or deal with any paperwork on our own. 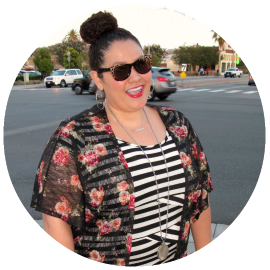 What Do You Wear to Brunch in Downtown Disney?